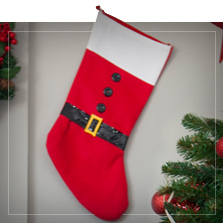 Original complements and Christmas accessories that will give a special touch to your Christmas parties and costumes. 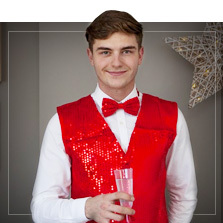 Do you want to stand out with your Christmas costume? 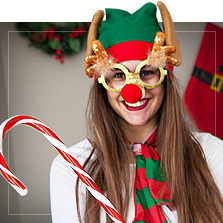 We recommend the most original Christmas accessories so that this Christmas you can give a fun touch to your look or so that you can complete your homemade Christmas costume. 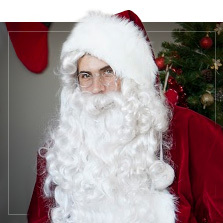 What would Father Christmas be without his hat, his white beard and his big belly? The Wise Men would not be kings without their crowns and the reindeers would not be able to help Santa Claus without horns. 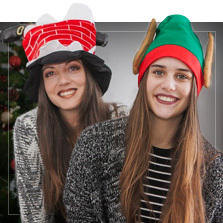 Grab your Father Christmas or Christmas Elf hat, put a reindeer headband on, add one of our original Christmas jumpers and prepare to spread the Christmas spirit wherever you go. 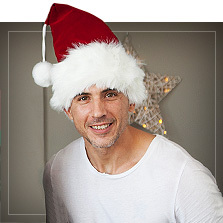 Gloves, socks, aprons, wigs, hoodies, angel wings, hats, bow ties, masks... buy and give the best Christmas gifts and have a great time next Christmas!